Lewis Hamilton earned a vital win in his battle with Sebastian Vettel at the top of the Drivers' Championship by triumphing in the Spanish Grand Prix. The 32-year-old Brit suffered disappointment in the Russian Grand Prix as his vehicle had set-up and cooling issues, leaving him off the pace in a fourth-place finish. However, his ability to bounce back in Barcelona has hauled him back on pace to match the German's early progress at the start of the campaign, with a fascinating battle set to take place over the course of the season. Hamilton is aiming to secure his fourth Formula One crown and his third in the past four years. Vettel has been out of contention for the past three years, but is striving for his fifth world title – which would leave only the great Michael Schumacher ahead in the all-time record books. 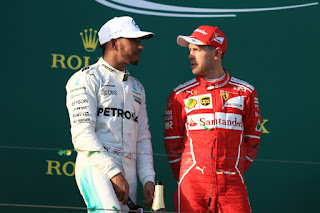 A lot is at stake for both Hamilton and Vettel, but perhaps more so for the Brit, as he lost out on the opportunity to secure three straight triumphs last season when he was narrowly beaten by Mercedes team mate Nico Rosberg at the death. Pulling level with Vettel by securing his fourth world title could swing the balance in his favour as the most dominant driver of the era, but much like the majority of his career, there will be guaranteed drama in his pursuit of glory. Hamilton has odds of 4/6 to regain his crown this season, and as stated by comparison site Oddschecker, putting forward £10 on the Brit to triumph via William Hill yields a £30 free bet, which could maximise earnings on his potential victory at the end of the campaign. However, there is a lot of work to do to maintain a strong level of consistency to secure the title along with fending off the advances of the resurgent Vettel and Ferrari. The challenge should not come as a surprise to the Brit as he has been dealing with those tests throughout his time in F1. Hamilton made waves on his arrival to the sport when it was confirmed that he would be teaming up with reigning champion Fernando Alonso at McLaren. Due to the quality of the Brit, there was friction between the two men as they jostled to become their team's primary driver, despite the Spaniard's achievements winning back-to-back crowns with Renault. Hamilton enjoyed an impressive start to his career at the Australian Grand Prix, finishing third behind Kimi Raikkonen and Alonso. He then reeled off four second-place finishes on the bounce to put himself in early contention and he announced himself well and truly on the scene by securing his first victory in the Canadian Grand Prix. That became back-to-back wins as he triumphed once again in the United States. His first appearance at Silverstone for McLaren did not end in complete glory, although he extended his run of podiums to nine straight races, finishing in third. Victories in Hungary and Japan put the Brit on course for a triumph in his maiden season in Formula One, only for disaster to strike in China when he spun off the circuit before he could change tyres, allowing Raikkonen to close in for the Drivers' Championship. Hamilton needed a strong performance in the final race of the season in Brazil to retain top spot, but he could only place in seventh, with the Finn winning the race to secure his first world title. Hamilton lost out by only a point to Raikkonen, but will have been buoyed by his exploits to finish second in the standings. His determination to get over the line in his second term in the sport was clear from the opening race of the campaign as he claimed victory in Melbourne with relative ease. However, an underwhelming outing in Malaysia and a 13th-place finish at the Bahrain Grand Prix left him with work to do to haul himself back into contention. He did just that with two podiums on the bounce before recording his second victory of the term in Monaco, but his progress was to stall with the second retirement of his career at the Canadian Grand Prix. The McLaren driver notched the most important win of his career at that point when he won his home Grand Prix to get back to winning ways at Silverstone before securing a vital victory at Hockenheim to leave himself in a strong position. 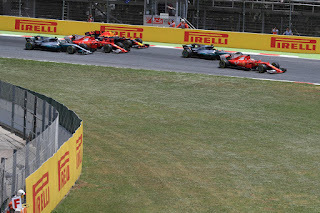 A consistent run of form put the Brit ahead of Felipe Massa in the standings and his path to success as left wide open as Hamilton earned redemption in the China by claiming his fourth win of the campaign. The result left him with a seven-point lead over the Brazilian heading to Sao Paulo, with only a fifth-place finish needed to deliver his maiden crown. The race appeared to be going to plan for Hamilton, even after starting the race in fourth place. However, as rain began to fall in the latter phases of the meet the Brit began to lose pace, allowing Vettel to knock him out of fifth position, with Massa holding a comfortable lead. The German almost denied Hamilton the crown, only for the Brit to pass Timo Glock in the dying embers to secure the title. Rule changes for the 2009 season shook up Formula One, along with the formation of new side Brawn GP replacing the old Honda outfit that were at risk of closure, with Jenson Button and Rubens Barrichello benefitting from the switch. 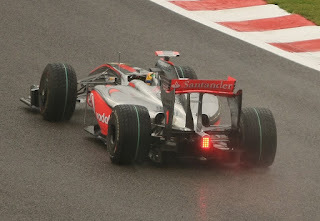 The opening race would sum up Hamilton's season as he suffered the only disqualification of his career. The previous term, the Brit sent a statement with his victory in Melbourne, but on this occasion he was penalised for lying to stewards after Jarno Trulli passed him after the deployment of the safety car on the circuit. The end result was a disqualification for the McLaren driver and a third-place finish for Trulli. Hamilton's opening half of the season was a complete write-off in his attempt to defend his crown as issues with his car prevented him from challenging at the top. At one stage in the term in failed to finish inside the top ten for four races on the bounce – the worst stretch of form of his career. He stemmed the tide with victories in the Hungarian and Singapore Grands Prix, and notched two podiums in Japan and Brazil. However, his 2009 term was to end on a low note with a retirement in Abu Dhabi as he watched compatriot Jenson Button cement his crown. Hamilton was powerless to stop Button ease to the title in the 2009 season, while those feelings would only intensify over the next four years with the rise of Vettel. Red Bull took over the mantle as the most dominant team in the sport, replacing Brawn GP at the top. This allowed Vettel and Mark Webber to taste success, beginning at the start of the 2010 season. Once again at the start of the campaign, McLaren was off the pace, with Hamilton struggling to make an impact in races. Hamilton managed to secure two podiums to keep himself on contention early on and by round seven of the season had enough pace to reel off back-to-back wins in Canada. However, retirements in the second half of the campaign halted his chances of competing with Red Bull and Ferrari at the top, which allowed Vettel and Alonso to battle reach other for the crown, with the German just edging ahead of his rival by winning the Abu Dhabi Grand Prix. 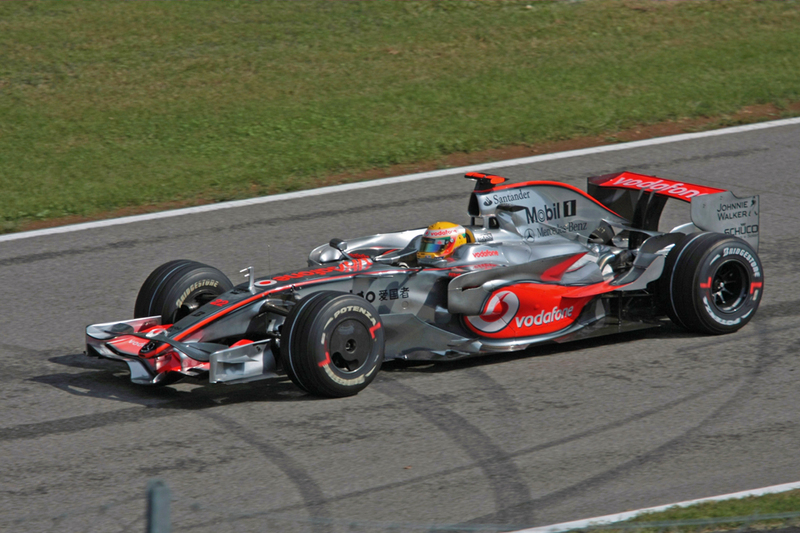 The next two campaigns were identical as the German won the Drivers' Championship by a comfortable margin, ahead of Hamilton's team mate at McLaren – Button – in 2011, while Vettel again edged out Alonso for the crown the following season. The Brit's frustration with McLaren due to constant issues with his vehicle in 2012 brought an end to his tenure with the team, with more retirements (five) than victories (four). Hamilton joined Mercedes for the 2013 campaign, and although he failed to make a significant improvement over the course of the term – finishing fourth once again as he Vettel won the crown with relative ease – the shoots of resurgence were starting to grow towards the end of 2013. For once in his career, Hamilton was on the right side of a rules change regarding a revised engine formula, with new 1.6-litre turbocharged V6 engines replacing 2.4-litre V8s. Despite the boost, which allowed him to claim pole position at the Australian Grand Prix, disaster was to strike when he lost a cylinder on the first corner, forcing him to retire from the race. However, unlike in the past when he may have let the setback break his focus, Hamilton set the tone for the season by winning four races on the bounce for the first time in his career to take control of the Drivers' Championship. Only retirements in Canada and Belgium threatened to derail his season, but he held his composure to win the British Grand Prix for the second time in his career before winning five straight races and wrapping up his second world title in Abu Dhabi, finishing well ahead of Nico Rosberg. Hamilton addressed the balance of power between him and Vettel, with the German now struggling to compete at the top. He did not find life any easier in 2015 as the Brit enjoyed a second straight season of dominance. 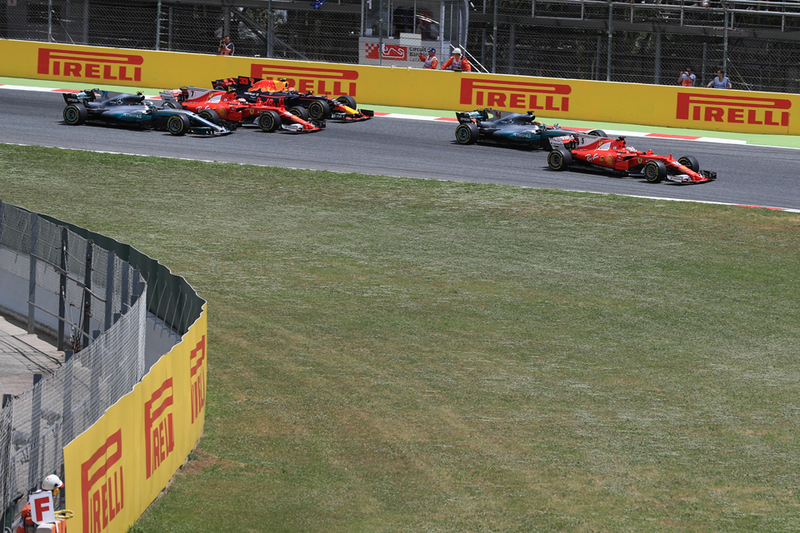 From the off, the chasing pack knew that Hamilton's speed would be extremely difficult to match, with even Rosberg struggling to keep pace with his Mercedes team mate. Vettel did produce a stunning performance to win the Malaysian Grand Prix, but that proved to be the highlight of his season as the Brit reeled off back-to-back triumphs in China and Bahrain to re-assert his authority. 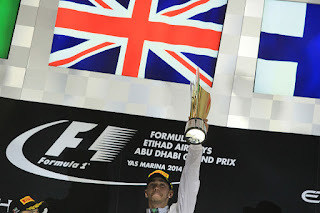 Consistency was the key to success for Hamilton, picking up regular victories, including another place on top of the podium at Silverstone before he closed out the title with three wins on the bounce to secure the title in the United States – three races before the end of the term. Hamilton's quest for three crowns on the spin was denied in a thrilling battle with Rosberg last term. Although he won more races than the German, retirements in Spain and Malaysia were to cost him as the German managed to edge him out by five points. The character shown by the Brit was that of a champion as he forced his team mate to remain on form until the last meet of the term – winning the final four races, but Rosberg's second-place finish in Abu Dhabi allowed him to clinch his crown. Many predicted that the German and Hamilton would be fierce competitors for the Drivers' Championship for years to come, but Rosberg's surprise retirement ended the potential for that spectacle. However, Vettel has re-emerged from the shadows with the Ferrari after three underwhelming terms. The German snatched the early initiative in the battle to be known as the driver of the modern era, with four straight crowns with Red Bull. The Brit hit back with his two crowns and came within points of notching a third on the bounce. The two drivers are on an even footing due to the improvements made by Ferrari during the off-season. In the past, one man has always held the advantage, whether it was Vettel with Red Bull or Hamilton in the last three years with Mercedes. The sport now gets the match-up everyone has been demanding since the emergence of the duo ten years ago. 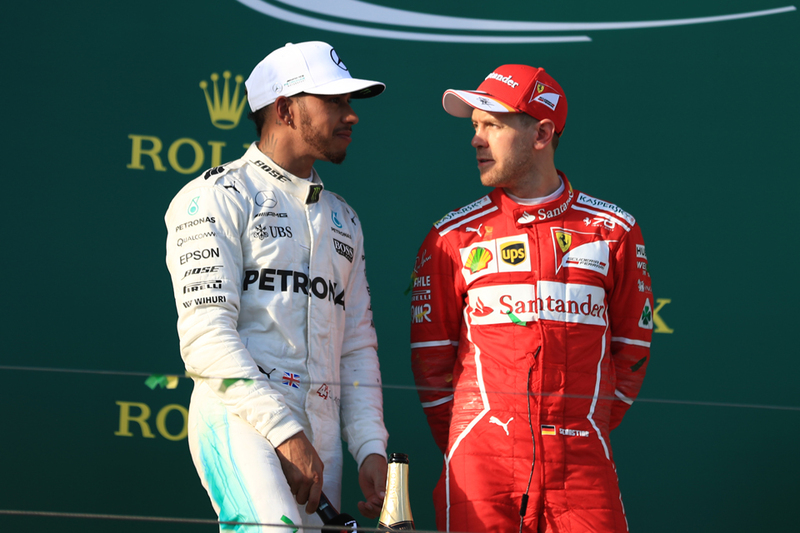 A victory for either man would define the era – with Hamilton seeking to join Vettel on four titles, while the German could pull away from the Brit and close in on Schumacher at the top of the all-time list. If Hamilton's past is anything to go by, we should be set for a thrilling campaign, with plenty of drama. Both men have fired their opening shots, notching two victories apiece, and it will be fascinating to watch how they progress in the battle throughout the term in the bid for the 2017 Drivers' Championship.